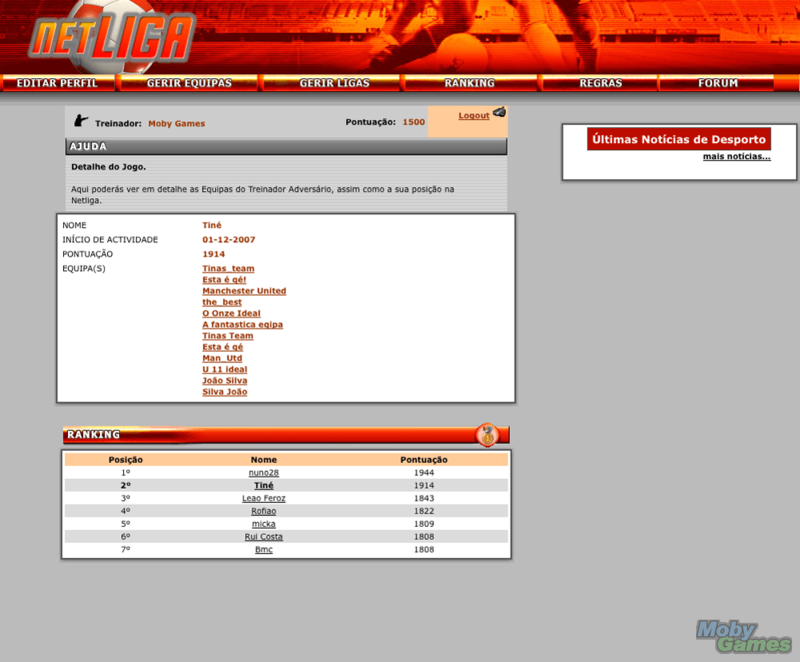 Netliga was a Soccer Management Web Game and the user had to pick a team of players based on the official players who played in the Portuguese Premier League. 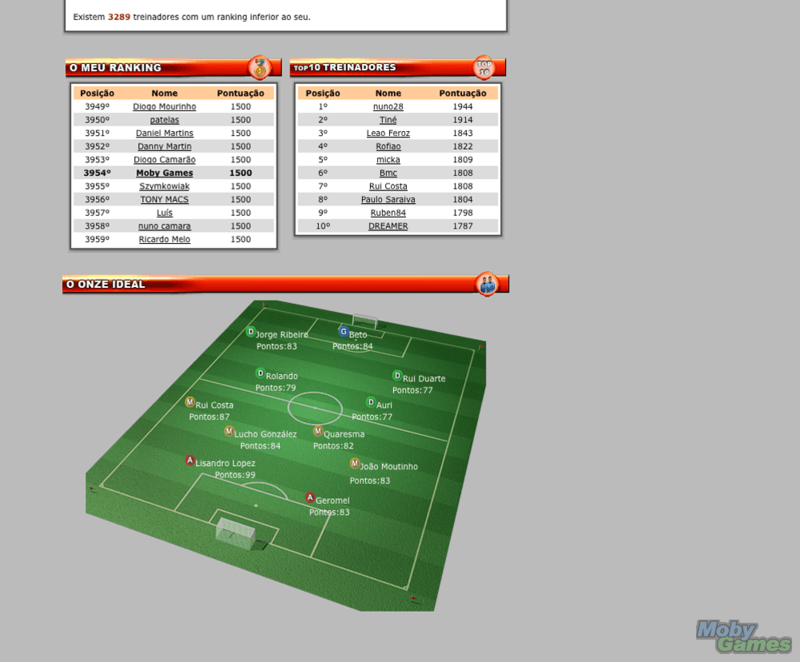 The user would then define his team’s starting line-up and the game engine would rate the players depending on their performance in real life. 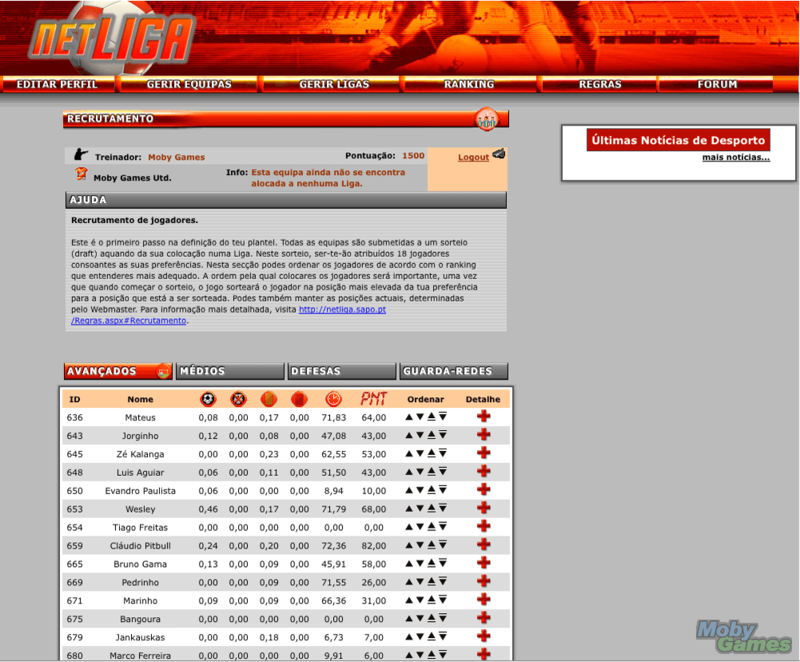 It would then compute the results and determine each user team’s score. 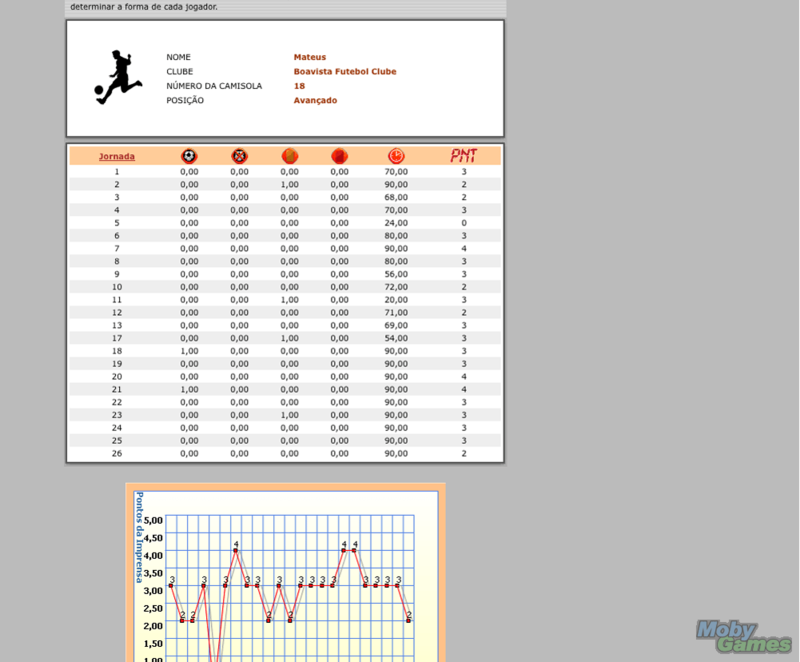 In this game, I designed the game concept, gameplay and other game elements, the general layout guidelines and also did some development on the starting line-up UI. 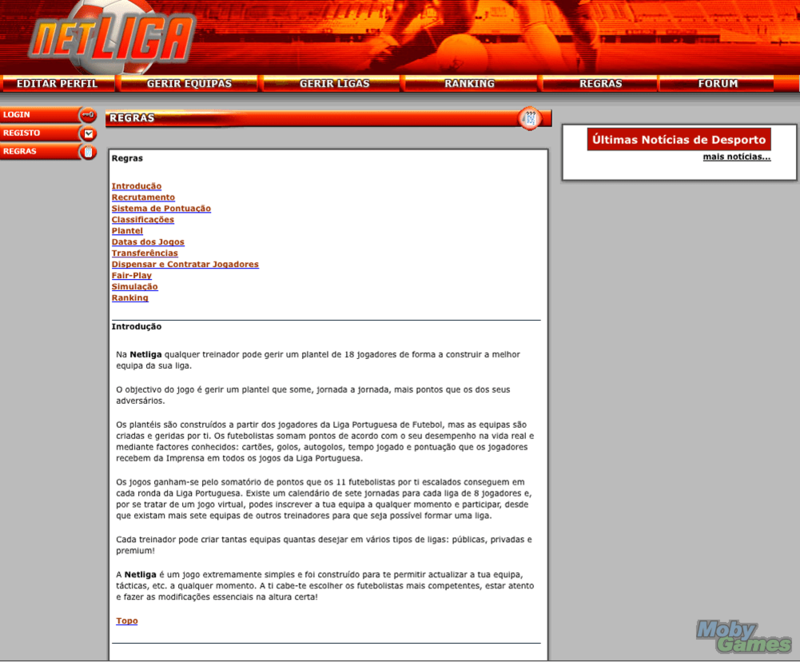 I also managed to have it published by Sapo.pt, the largest portuguese web portal, on its game section and at its highest peak we had over 10.000 active players registered and playing.